This article was written by Marisa Almeida, Product Marketing Manager for Platforms. We hear this question all the time from our sellers. There are so many options, and getting started online can feel overwhelming, especially for sellers who have not owned an eCommerce business before. What’s one of the first decisions you make once you’re ready to make the move online? Choosing a web platform. Fortunately, Square works with a wide range of eCommerce platforms to power online payments, so we know a thing or two about the options available. If not, do you want to hire someone to build the site, or do it yourself? What about managing it? How much should you spend? Should you pay monthly fees or one up-front investment? Do you need your in-store inventory to sync up with your online sales? Sell more online with Square’s eCommerce solutions. Upgrade to the eCommerce plan on your current website platform. If you use a platform like Weebly or Wix, you can simply upgrade to a plan that includes online store functionality. WooCommerce: Is your site built on WordPress? WooCommerce is the eCommerce extension for WordPress sites and may be a good option for adding an online store to your site. The best part? It has a Square-WooCommerce plugin so you can take payments through Square and sync up your in-person and online inventory. Ecwid: Ecwid, another platform that integrates with Square, allows you to add a shopping cart to any existing site, such as Squarespace, Joomla, WordPress, and more. Use Square APIs. If you work with a developer, they may be able to build the shopping cart functionality you desire, and then connect it to Square payments via API. Do you want to hire someone to build the site, or do it yourself? What about managing it? Square works with several DIY platforms that make it easy to build a professional-looking site, no coding required. This is a great option for sellers who want to get started quickly and want the flexibility to make changes and manage their website’s backend on their own. Even if you’re not comfortable designing and building the site yourself, you may want to think ahead to when you’re managing the site. Do you want to keep a web developer on call, or hire one to be on staff? If not, you could consider hiring someone to build the site for you, but ask them to use a DIY platform like Weebly, BigCommerce or Wix so it’s easy for you to make updates later. Are you more tech savvy or would you feel more comfortable outsourcing site maintenance to an agency, developer, or employee? Open-source or self-hosted platforms like WooCommerce or Magento are more flexible and customisable compared to DIY-style platforms. Learn about and connect to Square-compatible platforms. How much should you spend? Should you pay monthly fees or make one up-front investment? The answers to these questions may depend on whether you intend to make online sales a core piece of your business. There are a wide range of costs associated with eCommerce platforms. For some sellers, an inexpensive monthly rate makes the most sense — for example, if you want to be able to offer online purchasing, but don’t plan on investing significant time or resources on promotion or logistics to make it a big portion of your business. For sellers who are serious about building an online sales channel, a low-price plan is tempting, but you may want to consider a more expensive but fuller-featured option that helps you with the tools you need to grow and manage your online business (i.e., SEO tools, marketing integrations, shipping, inventory management, etc.). The decision to pay a monthly fee versus a one-time investment also involves some personal preference. With hosted platforms that have monthly SaaS pricing, the cost is spread out over time, which is convenient. And you can choose to upgrade, downgrade, or turn off your site based on business performance. But some sellers feel they do not fully own their website because they cannot simply move it to another platform if needed. In that case, you may prefer a self-hosted option. If you go with a self-hosted option, be aware that while there may not be a monthly SaaS cost, there will certainly be add-on costs, both up-front and recurring. Be sure to research and add up all the various extensions, themes, hosting services, etc., that you need for your site to get a sense of the all-in cost before moving forward. All our eCommerce partners allow you to sell in store and online with Square and see all your sales in one place. But some sellers also find that having their catalogs and inventory counts automatically sync across in-person and online channels saves a lot of time and headaches. This functionality can help you avoid accidentally selling the same item online and in store, and it makes inventory management easier. Plus, if you already have a catalog built in Square Point of Sale, you can import it to your online store with a few clicks, making setup a bit faster. 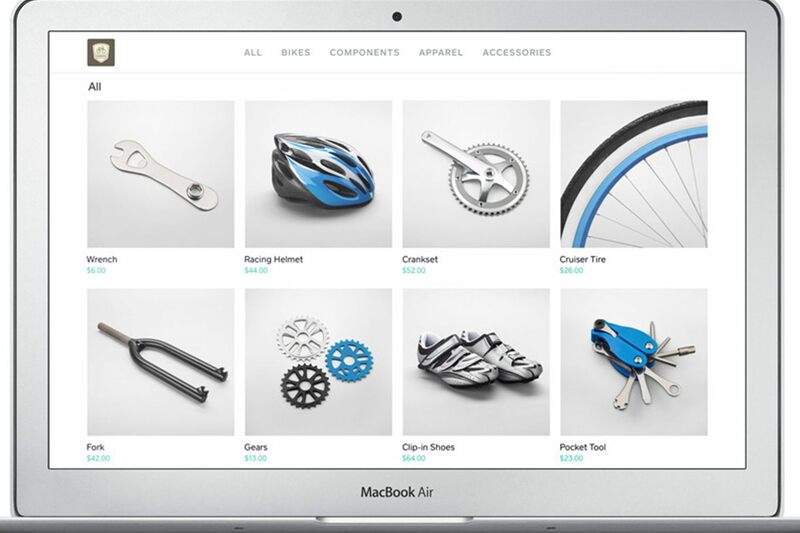 Ready to start setting up your eCommerce store with Square? Review your options here. Have more questions? Visit Square’s support centre.